I wore this to see Beauty and the Beast with my mom. I also went to dinner for my friend's mom's birthday. I got these two pieces from a consignment sale. I wasn't planning on putting them together but I think it's a fun look. I love the double dots! 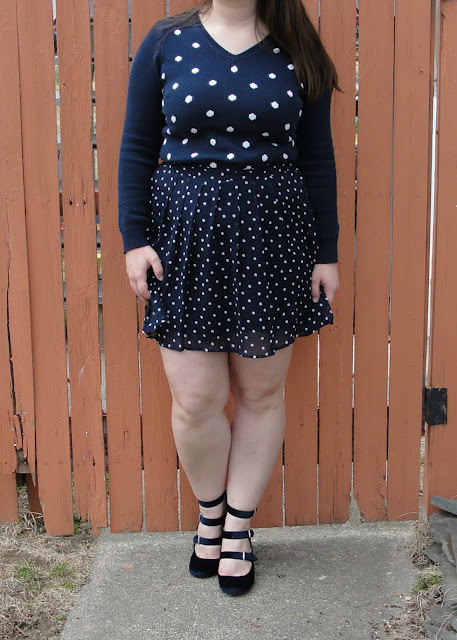 I always think that similar prints paired together works really well. You look so cute! My mom and sister have both seen Beauty and the Beast and really enjoyed it. 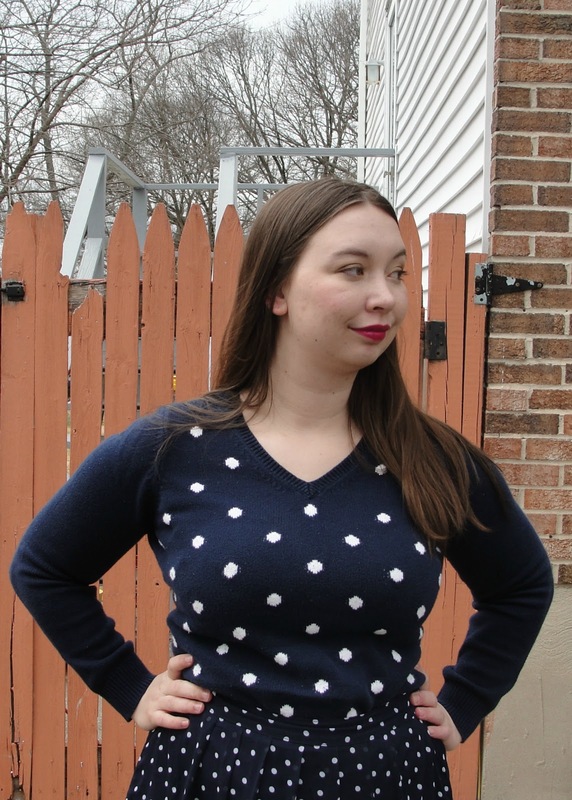 cute polka dot sweater -- great consignment find! It is TOTALLY a fun look! You have great taste, babe! The shoes are perfect, too. What a great look! The dots on dots are adorable together! this look is so cute. Love the dots! Love the polka dots together! I have the some heels in tan. Love 'em! Happy Friday! I've been loving polka dots this spring!